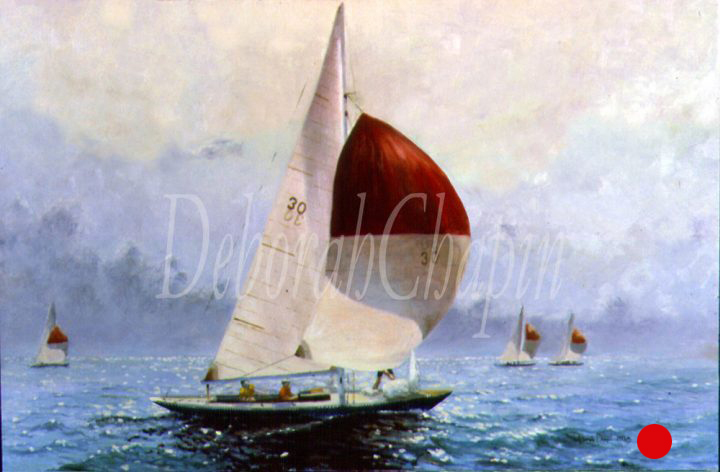 Tags: yacht portraits, canvas prints, giclee print, marine art, nautical art, one-design racing, wall art, wall art ideas, wall pictures, water painting. State of Independence, Yacht Portraits, Canvas Print, Int’l One-Design is part of the One-Design Racing Series. 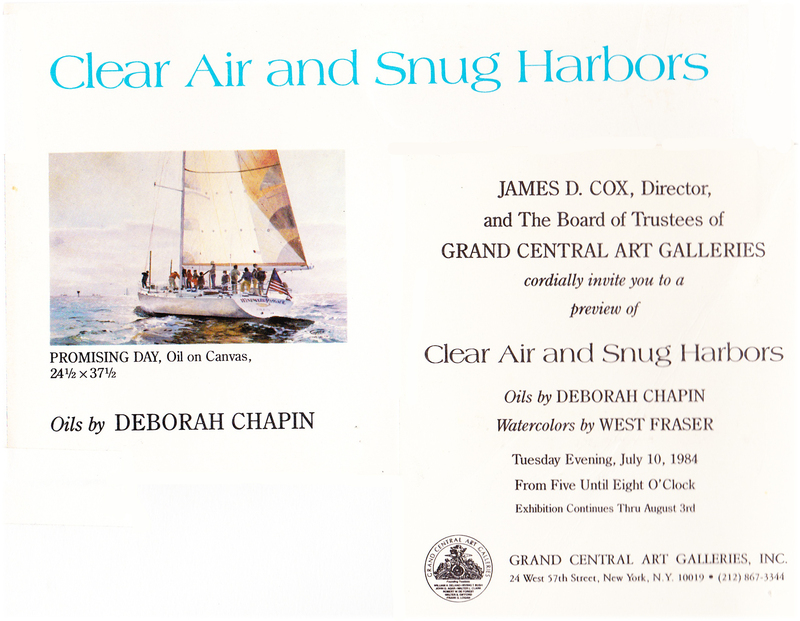 Exhibited at Grand Central Gallery in New York in individual exhibition entitled Clear Air and Snug Harbors. Ten years of painting every one-design in existence, exhibited at the Mystic Maritime Gallery, Greenwich Workshop Gallery and Annapolis Marine Art Gallery. Portraits included everything from the smallest Penguin to the largest America’s Cup Yachts Read the whole story: After the liberation of Norway, construction resumed at Fredrikstad with boats going to San Francisco, Sweden, France,Oyster Bay, and Cowes. 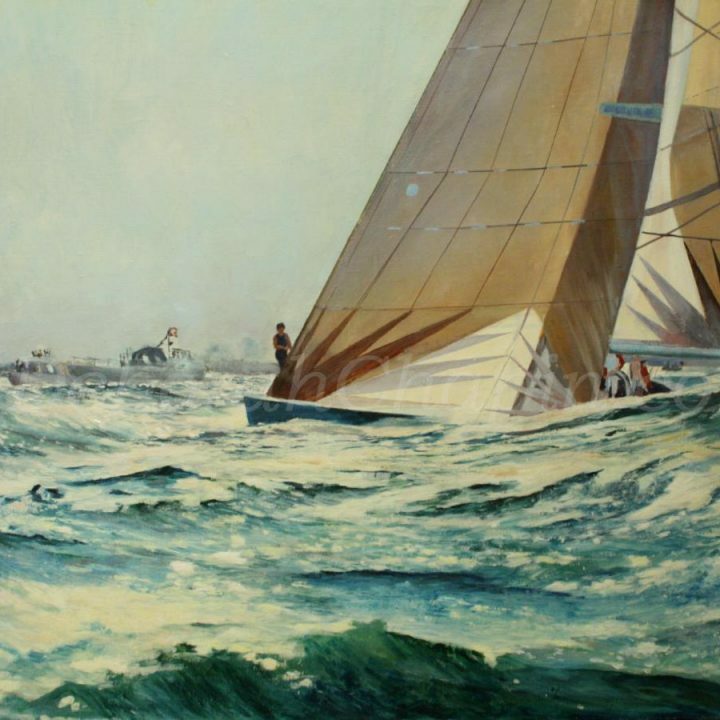 Fiberglass construction was introduced in the 1960s with great care taken by the class to ensure that the wood and glass yachts could race on an equal basis. Today, there are ten fleets racing around the world — Bermuda, Norway (combined fleets — Oslo &Tønsberg), the United Kingdom (St. Mawes, Falmouth), Sweden (Stenungsund), New York (two fleets — Larchmont and Fishers Island), Maine(Northeast Harbor), Massachusetts (two fleets — Marblehead and Nantucket) and California (San Francisco Bay). The newest IOD fleet is in Chester, Nova Scotia. • Premium museum quality canvas print. • Pigment based inks for permanent printing. • Accurate color resolution hi-resolution. • Each signed canvas(signed with Indian ink permanent ink) • Premium museum quality canvas print. • Pigment based inks for permanent printing. • Accurate color resolution hi-resolution. • Canvas print is finished off with our clear acrylic coating, providing a protective layer with a satin luster Made to order giclees are printed on demand with the highest quality materials by the artist. Deborah wanted to keep control of her quality of materials and the reproduction of truly beautiful colors. Deborah is a long time professional artist who has lectured at the Smithsonian American Art Museum on color and plein air painting and has exhibited her works in museums worldwide.